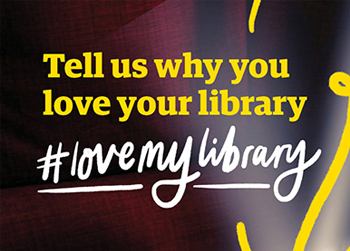 We would love to hear why you love your library. Everyone has their own reasons for loving their local libraries – and we would like to help Wellingtonians share what makes libraries special for them. What surprises, delights or comforts you about what happens in and around your library? Is there something special that you have done, or that has been done for you? Have you found a treasure in our collections, made an amazing discovery online, or come to an inspirational event? Please share your thoughts – large or small, words or pictures, on a postcard or online. 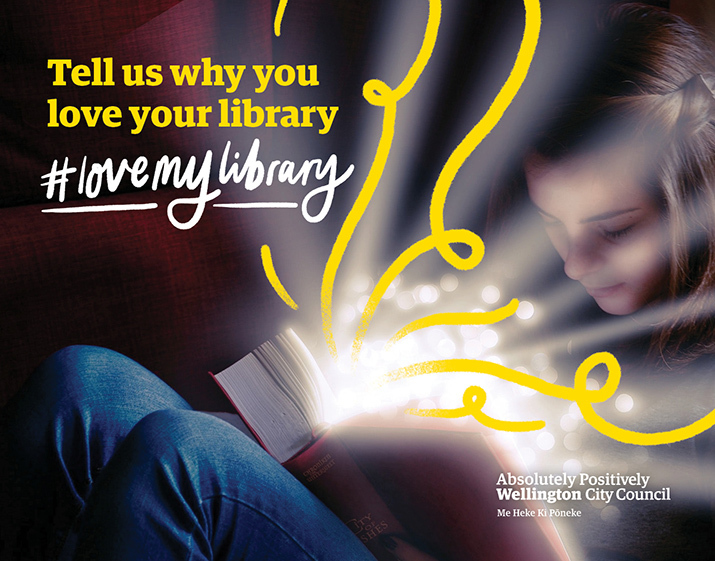 Fill in a postcard at any branch of Wellington City Libraries, or use #lovemylibrary when you tag us on Facebook or tweet us a picture, poem or story. Postcards and the most appreciated entries via Facebook and Twitter will go in multiple draws to win books or vouchers for kids, teens and adults. By entering this competition you are granting us permission to display and publish your entry. Your first name, age group and/or twitter may be included, but no other details.